NEW YORK, NEW YORK--Recruitics, a leading provider of recruitment marketing analytics and job advertising automation solutions, has been named a Top 10 Recruitment Software Company by HR Tech Outlook for 2017. The honor comes after a big year for Recruitics--in which they took home the 2016 Recruiting Service Industry (ReSI) Award for Most Innovative Big Data Solution, and also launched two important features for their Recruitics Analytics and Recruitics Action platforms in Job Slot Optimization and End-to-End Analytics. Recruitics is a technology that provides HR and talent acquisition professionals with a number of tools to help them produce a better return on their online job advertising investment. It eliminates the need to use different platforms or dashboards for each site they advertise their open jobs on, instead consolidating these management systems into one, easy-to-use technology. 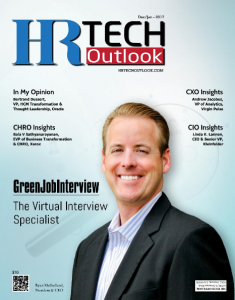 A full profile of Recruitics, their offerings and client case study results can all be found in the HR Tech Outlook article, published in the most recent edition of the magazine. To learn more about Recruitics, and to read their full profile as a Top 10 Recruitment Software Company of 2017, follow this link: http://bit.ly/2k8z5BB. Recruitics is a recruitment analytics and advertising technology that makes it easy for companies to better understand and optimize the performance of their jobs on top global job sites. Founded in 2013, Recruitics works with the nation’s largest employers, staffing agencies, and job boards to drive more applicants to their online job advertisements, hire great talent, and meet their recruitment goals. Recruitics also partners with many of the leading ATS systems to provide seamless integration and end-to-end recruitment analytics. The company is headquartered in New York City, NY and is privately owned and operated. You can find Recruitics online at http://recruitics.com/ or follow @Recruitics on Twitter.